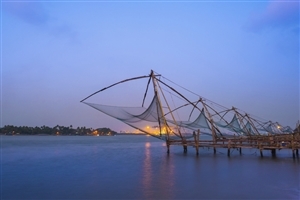 Explore the spice lands of Kerala on this nine day tour exploring the historical towns, lush tea plantations and long sandy beaches, learning more about the wildlife found in the area and the traditional way of life. Fly into Cochin Airport where you will be met before transfer to your hotel in the most cosmopolitan city in the Kerala region. Following breakfast at your hotel, head out on a sight-seeing tour of Cochin, including a visit to the Matancherry Dutch Palace which, despite the name, was built by the Portuguese. 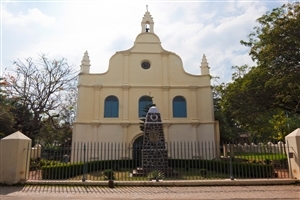 You’ll also have the opportunity to see the Jewish Synagogue and St Francis Church as you explore the port city. In the evening, you’ll have chance to enjoy a traditional dance show known as a Kathakali at a local theatre, where you’ll be wowed by the impressive make-up and costumes. Leave the cosmopolitan city behind and head into the countryside to Thekkady, located in the ‘heart of God’s own country’ close to spice and coffee plantations as well as the Periyar forests; which are home to one of India’s main wildlife reserves. Having checked into your hotel, you’ll watch a Kalaripayatu Performance, which is one of the most ancient forms of martial art there is. Leave Thekkady for the drive to Kumarakom, taking in a spice plantation tour en-route to see how produce like cinnamon, pepper and nutmeg is grown and harvested before being processed for sale. Arriving in the beautiful surroundings of Kumarakom, with its luscious green forests sitting alongside channels and waterways that run between the cluster of small islands that make up the village. The afternoon will be yours at leisure to explore the surrounding area, which could include a boat trip on Vembanad Lake, which is one of the largest lakes to be found in India. Enjoy a day of relaxation as you head for a houseboat to take a scenic cruise through the backwaters. Watch the world go by and see how the local people live on the shores of the canals, while marvelling at the natural beauty of your surroundings. One of the highlights of the trip, you’ll have the chance to sample a range of different local cuisine onboard and will stay overnight on the boat itself. 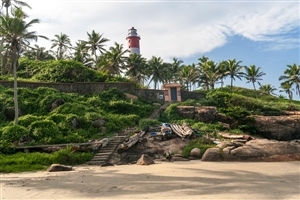 Having departed your boat, you’ll drive to the resort of Kovalam, featuring three beaches that make up one of the most popular coastal retreats in India. With time at leisure following your arrival, you can take a dip in the sea, spend time relaxing on the beach or explore one of the local villages to sample coconut beer – created from the many coconut trees to be found in the area. Two days in Kovalam start with an excursion to the Padmanabhapuram Palace, an ancient wooden complex found within a granite fortress which is now regarded as one of the best examples of traditional Kerala architecture. The tour will see you journey through a maze of rooms to admire the many carvings, sculptures and engravings that can be found inside. Following the half day excursion, the remainder of your time is free to spend relaxing at leisure. 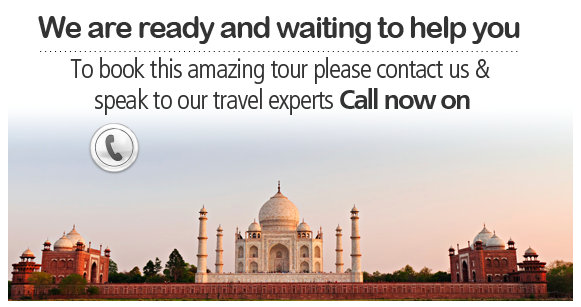 Following breakfast, you’ll head for Trivandrum International Airport to leave for the journey home.